From a regular dental look-over to complicated dental problems, we know it all. When you care for yourself, it shows in your health, gloriously. Similarly when you take those small, caring steps to keep your oral health in pearly condition, it also shows in the way you smile, your personality and most of all you. But unfortunately most of us are scared about making visits to the dentist. Hence our oral health remains neglected and unkempt. Here’s where we try and make a difference at Kingsview Dental Calgary. Before detecting any problem, it is our belief that you need to be made to feel comfortable and relaxed. We assure you that you are in capable hands and that your experience here is going to educate, inform and relieve you of the nightmares of dental check-ups. Crooked teeth or spaces between teeth can affect the way you smile. Invisalign is an expedient, painless and practical solution. Sometimes as tooth begins to decay, the infection keeps spreading into the deeper areas. The need to extract a tooth can be for a number of reasons. Most commonly, a tooth that is damaged beyond repair because of decay.. Regular wear and tear affects your tooth. It is visible when it slowly begins to decay & form cavities. Dental Fillings are the ideal solution to repair decayed, chipped or broken teeth. Tooth loss due to decay or trauma is a common phenomenon. Often the loss of a tooth leads to problems in chewing, eating, smiling & even talking. Dental Bridge is the perfect answer. Chipped tooth or tooth broken because of trauma are not only painful but often harmful to your dental health too. That is when Dental Crowns come as great resolutions. Veneers are thin masks of porcelain that slide into the tooth to create that perfect smile. Teeth Whitening is a cosmetic procedure. It helps improve the colour of your teeth & make you more confident while smiling that beautiful smile. Impeccable dental hygiene doesn’t just mean taking care of your teeth. It involves healthy gums, strong teeth and a clean mouth. As a Dentist, the dentists at Kingsview Dental Calgary, understand the affect that active Periodontal Disease can have on your overall health. If plaque and tartar are left on the teeth, it provides the right conditions for bacteria to thrive. The bacteria then irritates your gums, which means that they can bleed more easily. We are all striving for a healthier lifestyle these days. While some take to walking or jogging, some prefer to indulge in serious sports activity. We offer affordable dentures in full and partial styles. Enjoy our free consultation to ensure you make the right pick. At Kingsview Dental Calgary, we look at Dental Bonding as if it was like a simplified version of a Porcelain Veneer or a Dental Crown. While it can’t withstand the kind of abuse that those solutions can, bonding works well in a variety of situations. At Kingsview Dental Calgary, as a Dentist, we are often asked what is a dental implant used for. Dental Implants are ideal for those who are missing teeth. As a Dental Clinic that provides Family Dentistry, Dr. Patel and Associates are passionate about family dentistry and helping to provide you with the dental health care and education you need. As providers of Cosmetic Dentistry, Kingsview Dental Calgary offers cosmetic dentistry and restorative dentistry options for patients who wish to enhance or completely redesign the look of their smile! At Kingsview Dental Calgary, as a Dentist, we offer this advice: If it hurts, it’s requires emergency dentistry. This is because even injuries that seem small or superficial can affect the living tissues inside the teeth. A smile is the prettiest accessory you wear. Sometimes a patient might get nervous and anxious about dental treatment in general or particular dental procedure. This is when oral sedation helps. We are always welcoming families to our practice. That is why we try to make each dental appointment as fun as possible, while still delivering the highest quality of patient care. Children and their dental problems are very different from adults. 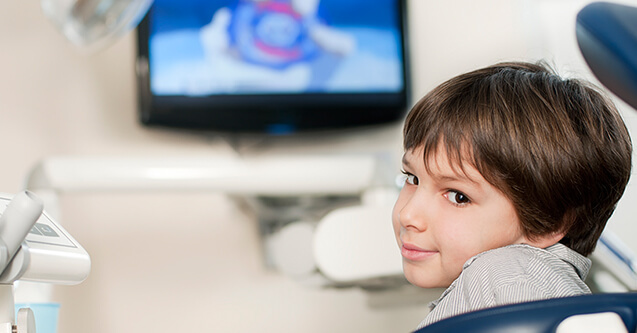 We provide special treatments like Sealants, Pulpotomy and Space Maintainers for kids. 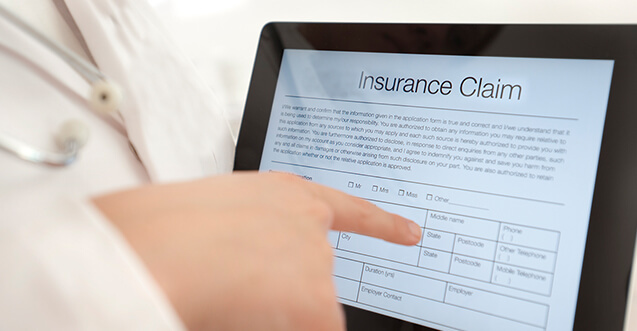 We take assignment which means we do direct bill to insurance whenever it is allowed. Patient is responsible to pay their patient portion when co payment is applicable. At Kingsview Dental Calgary, new patients are always welcome, for regular treatment as well as for dental emergencies. Quick treatment improves the odds of saving injured or damaged teeth. We care about our patients and want to make sure we are available to help you with any emergency dentistry issues you may be experiencing. A lot of factors together make up the dental structure. Ranging from your teeth, gum to your bite. Cosmetic Dentistry is the specific area that makes sure that the shape of your teeth, its alignment, the colour, the size etc are as close as possible to ideal. Procedures that come under the purview of Cosmetic Dentistry are bonding, tooth coloured crowns, tooth coloured bridges, teeth whitening, teeth straightening, gum reshaping or recontouring, and porcelain veneers. Oral Sedation uses oral medication to help patients relax during dental procedures. 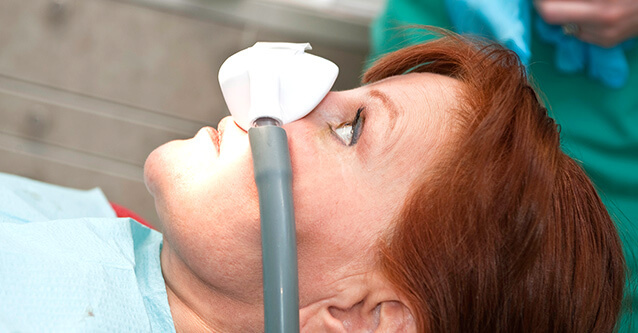 Patients are usually awake with the exception of those who are under general anesthesia. We are always welcoming families to our practice. That is why we try to make each dental appointment as fun as possible, while still delivering the highest quality of patient care. We are very respectful of each patient and their needs and only offer our services and treatments in a non-pressured environment. At Kingsview Dental Calgary, we know that Family Dentistry encompasses a large range of services. In an effort to provide a clear understanding of the dental services we provide, we have highlighted our primary services so that you can find the information you are looking for quickly and easily. Sealants help to keep out the germs and food that cause cavities. 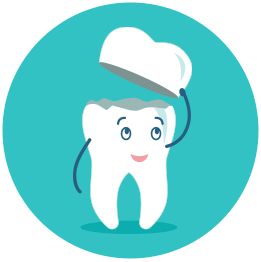 Adult molars can be sealed as soon as they come in (between the ages of five and seven and 11 and 14). Sealants protect part of the tooth. Good dental habits are still important for a healthy mouth and teeth. Sealant help prevent cavities, especially in the adult molars. Discuss sealants with a dental health professional. Sealants are thin plastic coatings painted on the chewing surface of healthy back teeth(molars). The chewing surfaces of the back teeth are rough and uneven with small pits and grooves. They are difficult to clean with a toothbrush. If a cavity is left untreated, it normally spreads and forms a larger cavity. If left untreated, the bacteria from the affected area can damage what we call the pulp (nerves, blood vessels and connective tissue) causing extreme discomfort and pain. Pulpotomy is a procedure which includes the elimination of a part of the unhealthy pulp. This helps us in preventing the infection from spreading to the other areas of the mouth. While dealing with dental problems amongst children, our prime focus remains to save a tooth and prevent decay. Pulpotomy treatment has till date proven to be highly effective and has also played a major role in preserving teeth in children. At Kingsview Dental Calgary, we make sure that children feel at ease while undergoing the process. The procedure involves taking x-rays to understand the level of damage and then proceed with the treatment accordingly. Sometimes in children, it has been seen that a tooth falls off or an extraction is required before time. It could happen because of decay or trauma. To allow the new teeth to seed out and fix itself, you might need space maintainers. A space maintainer is an acrylic or metal material that are fitted into a child’s mouth to preserve the space for a new tooth to grow and set properly. Space maintainers help the adult tooth to erupt in the right position. The adult tooth uses the space maintainer as a guide to erupt in a proper position. It also protects the nearby teeth from falling in, and getting affected which can lead to orthodontic complications. At Kingsview Dental Calgary, we follow an elaborate procedure. It normally involves taking impression, making the mould and finally creating the end product. It might involve multiple sessions so as to ensure that the size of the maintainer is exact. Invisalign is an ultra-modern, technology-superior, dental process that is adopted to straighten, crooked and ill-aligned teeth. It is fast becoming the most preferred alternative to traditional metal braces, as they are clear, less cumbersome and are almost invisible to the naked eye. At Kingsview Dental Calgary, we follow an exhaustive procedure that includes taking impressions of your teeth, making moulds and preparing a treatment plan. With each progressive fitting session, it will help straighten your teeth, rectify your dental structure so you can flaunt a beautiful smile. Regular wear and tear affects your tooth. It is visible when it slowly begins to decay and form cavities. Dental Fillings are the ideal solution to repair decayed, chipped or broken teeth. 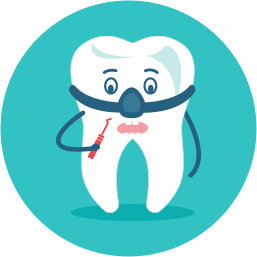 Dental Filling is a technique through which the cavity of the affected tooth is rectified with restorative material. The material is fixed to your tooth to cover the affected area. With the advancement in dental science, primitive, out-dated procedures are fast being replaced by more advanced ones. Dental fillings are made from more durable, colour flexible material than the old metal or amalgam alternatives. At Kingsview Dental Calgary, we scrutinise the affected tooth and the level of decay. Then the cavity is filled with the tooth colored resin based material. Our dentist makes sure to use material that is long-lasting and is suited to your mouth to avoid discomfort. 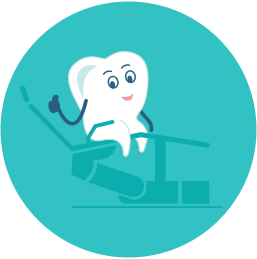 The process can be adhered to while fixing broken or chipped tooth or correcting the length of front teeth, so that you feel confident every time you sport those pearly whites. Tooth loss due to decay or trauma is a common phenomenon. Often the loss of a tooth leads to problems in chewing, eating, smiling and even talking. Dental Bridge is the perfect answer. Dental Bridge is a process where the effort remains to bridge the gap between two teeth. A bridge consists of two or more crowns for the teeth on either side of the gap. Dental Bridge helps revives your speaking and chewing capabilities, sustains the shape of your face and prevents the surrounding teeth from being misaligned. At Kingsview Dental Calgary we make sure that the process is conducted with absolute precision and care. It is the two visit process. In second visit, we check a fit of the prosthesis over a prepped teeth by various means and once confirmed, we proceed with the final cementation. Dental crowns are used to cover damaged tooth fully. It acts as a cap and is extremely helpful to treat tooth that lie at and above the gum line. Dental Crowns greatly rectifies the flaw of the damaged tooth and bring it back to its original size and shape. The process has proven to be extremely effective for patients with a weak or a cracked tooth; sometimes even as a cosmetic modification. 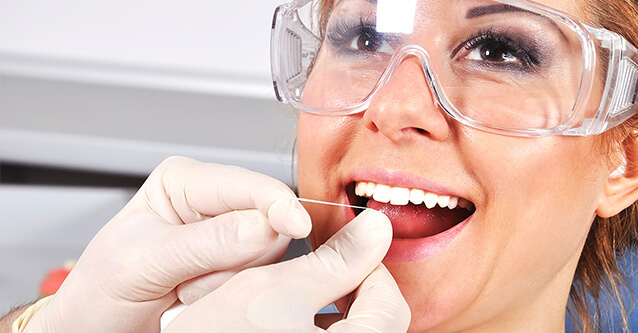 At Kingsview Dental Calgary, we make sure that the process is conducted with absolute precision and care. The need to extract a tooth can be for a number of reasons. Most commonly, a tooth that is damaged beyond repair because of decay or is a wisdom tooth need to undergo the process of extraction. 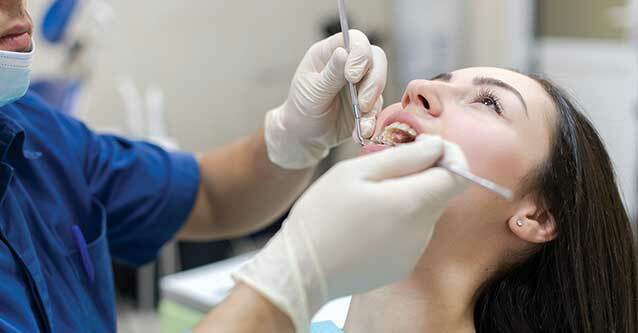 Tooth Extraction is a process where a tooth requires to be pulled out permanently from the jaw bone. It is mainly because of its ill-health or because it is growing in a fashion that is detrimental to the other teeth. Extraction of a tooth is normally recommended as the tooth has already decayed beyond repair. Extraction helps in preventing the spread of infection to the other teeth or sometimes jaw bone and surrounding soft tissues. Sometimes if a wisdom tooth is growing in the wrong direction, it is advisable to uproot it as it might disturb the alignment of the other teeth. At Kingsview Dental Calgary, make sure that the procedure is as less painful as possible. To deliver our promise, we schedule an examination before the actual process. This session helps us in taking X-Rays and understanding the placement of the tooth, its roots and the surrounding structure as well and the best possible way to extract it. Extraction of tooth provides relief to the patient as the tooth ache subsides. It also helps the other teeth to remain in perfect shape and health. Brushing your teeth twice a day and flossing daily are dental hygiene practices that should be followed regularly to keep your dental health in good condition. General Oral Hygiene includes periodic oral examinations including x-rays and visual exam, checking of gum diseases and periodontal health and professional cleanings. Precaution is always better than cure. 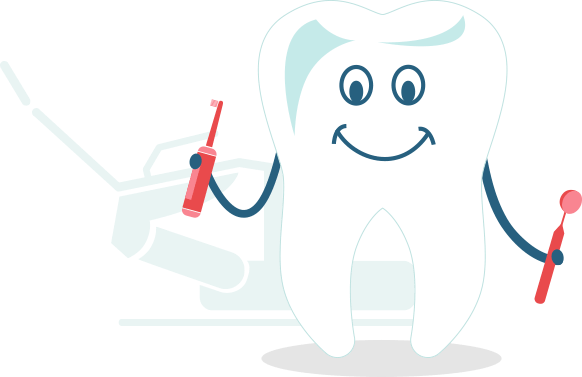 Regular dental hygiene visits partnered with an impeccable dental hygiene routine at home, guarantees that your teeth, gums and oral cavity will remain in good health. It minimises the risks of infection, decay, odour and hence less intrusive procedures that are sometimes painful and might involve loss of teeth. The frequency of dental hygiene visit can vary from 3 months to 6 months depending on the health of your gum and bone level. Teeth Whitening is a cosmetic procedure. It helps improve the colour of your teeth and make you more confident while smiling that beautiful smile. With time and age, the teeth becomes discoloured and develops a yellowish hue on its surface. Teeth whitening helps to bring back the original lustre of your teeth. A dental veneer is the perfect solution to hide damaged tooth, unwanted spaces, stains and marks on the front tooth. Dental Veneers help cover any faults that might appear on your tooth due to lack of enamel, or for misaligned tooth or incorrect spacing. They are thin masks of porcelain that slide into the tooth. At Kingsview Dental Calgary, we first prepare your tooth and take imprints followed by creation of moulds and lastly by fitting it on the damaged tooth. Porcelain veneers are gaining importance because the material is available in a wide variety of shades that are easy to match with the natural tooth colour. Sometimes when a tooth is half damaged, it is always advisable to protect it with porcelain inlays/onlays. This reduces further damage and helps the tooth survive longer. With the progress of science and technology, newer, more advanced materials have replaced older alternatives. It is usually made from the same porcelain material as crowns and bridges, it is created to match your tooth shape and shade—and are stronger and more durable than other materials. Benefit of Inlay/onlay over a crown is that it preserves natural tooth. Mostly the procedure to make Inlay/Onlay is same as crown. It is the two visit process. In first visit we prep a tooth, take an impression and send it to the lab. In second visit, we check a fit of the prosthesis over a prepped teeth by various means and once confirmed, we proceed with the final cementation. Inlays or Onlays are procedures that are recommended to patients who are looking for more economical option compared to crown. It also works beautifully for patients who have big cavities and want more natural options, function and look wise. Sometimes as tooth begins to decay, the infection keeps spreading into the deeper areas. This spreading of the infection eventually leads to the damage of the nerves. The nerve dies and needs to be eliminated and replaced. This is when you may need a root canal. Root Canal means we remove the dead nerve and fill it with rubber product called gutta percha in most cases. There are a lot of reasons why your tooth might need a root canal. The most common form is damage. However it can also happen if your tooth faces a sudden shock like a hard hit. here are lots of symptoms that might hint that you need a root canal. Pain being the prime factor. You might also experience swelling, biting tenderness, sensitivity to hot or cold food, darker tooth colour etc. If any of these symtoms are your concern, please contact us and book an examination. We will take detailed reports and x-rays to tell you exactly what the condition of your tooth is. Night Guards: A custom night guard is usualy worn on the upper teeth while sleeping. It is used to prevent excessive wear on teeth while asleep. Grinding is also known as "Bruxism" and is a subconcious habit when occuring during sleep. Grinding can cause sore or tiredness in jaw muscles in the morning, flattening of teeth, tooth fractures, gum recession, and indents or notchets on the root or biting surface of teeth. Mouth Guards: Mouth guards are coverings worn over teeth, and often used to protect teeth from injury during sports. Custom-fitted mouth protectors are individually designed and made in a professional laboratory based on our instructions. Complete dentures are made for those who are missing all their natural teeth. There are two types of complete dentures; conventional and immediate. Conventional dentures are made after the teeth have been removed or lost and the surrounding gum tissue has started to heal. You can have conventional dentures placed in your mouth approximately 8-12 weeks after your teeth have been removed/lost. Conversely, immediate dentures are made in advance and can be positioned as soon as your teeth are removed. Partial dentures, also known as “partials,” are used when a person is missing some but not all of their natural teeth. They can also be used when the remaining organic teeth aren’t strong enough to support a bridge or other dental devices. Partial dentures are fit onto the neighbouring natural teeth with clasps. They are removable for easy cleaning and are created to look like natural teeth. We provide free denture consultation. It is a multiple visit procedure as we work with dental laboratory.